A suit-all design clock ! 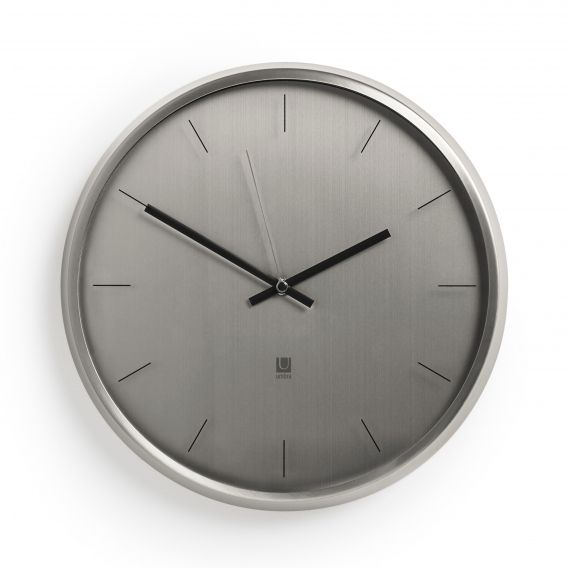 A safe bet for your interior decoration thanks to this contemporary clock. This classical wall clock is 31.75 cm in diameter. 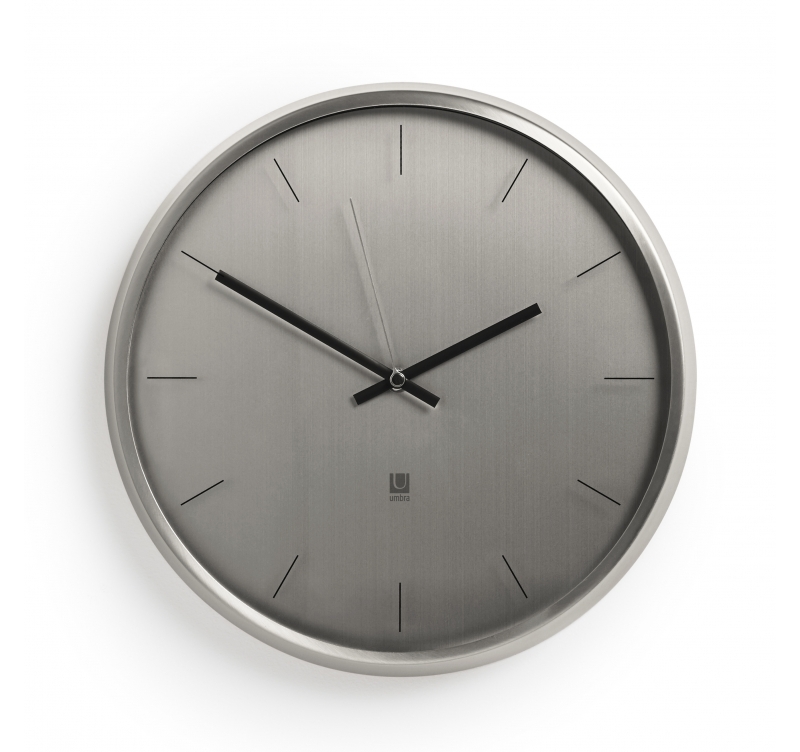 Free 48 / 72 h delivery in metropolitan France and Belgium for this lounge clock. This deco wall clock will appeal to you with its refined grey… The contemporary aspect of this quality design clock will perfectly suit your wall. 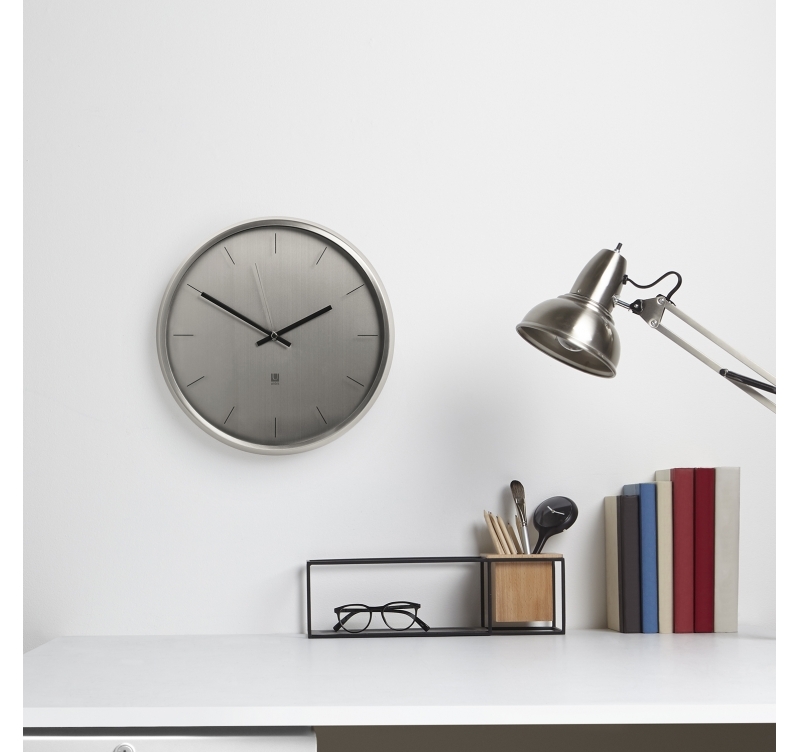 Real art objects, modern wall clocks will decorate your interior usefully. This Meta Nickel trendy clock will perfectly match present ambiances in a lounge as well as in a kitchen. To highlight it do not hesitate to match it with other deco objects like a design canvas to create a genuine decoration for your room. 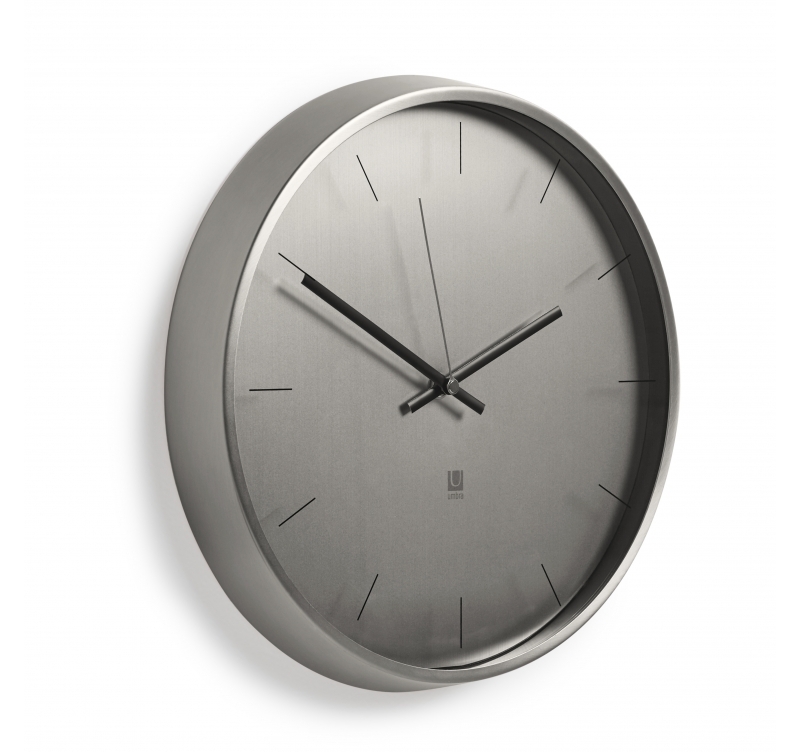 All our large wall clocks are fitted with a quartz movement and work on standard batteries (not included).